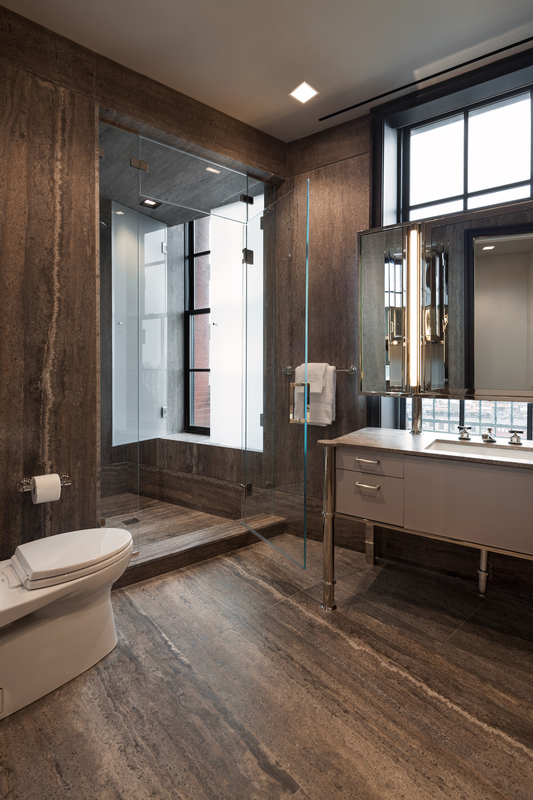 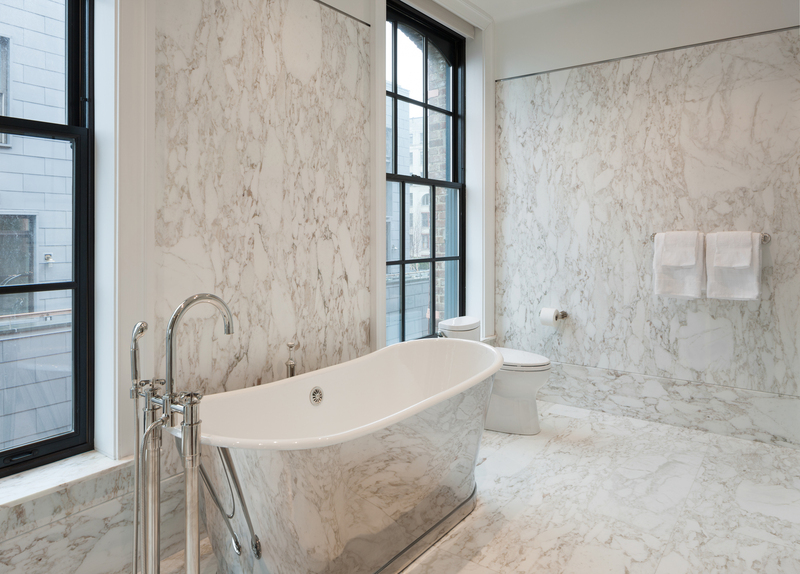 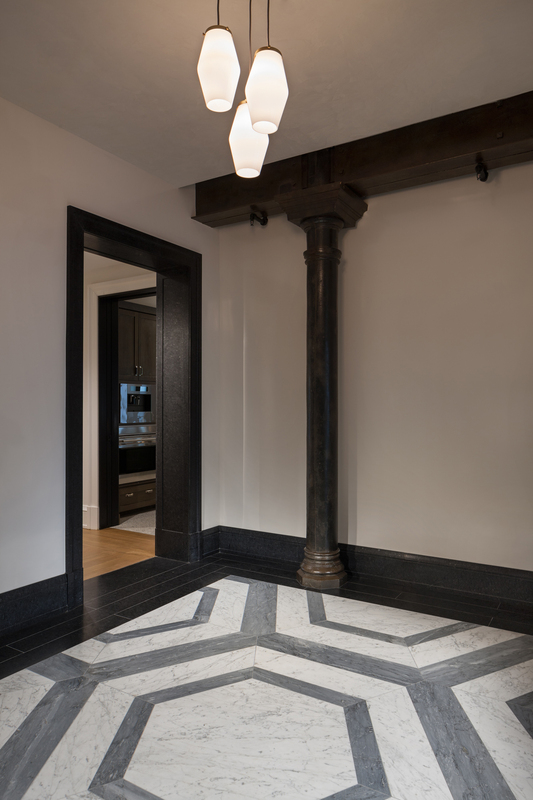 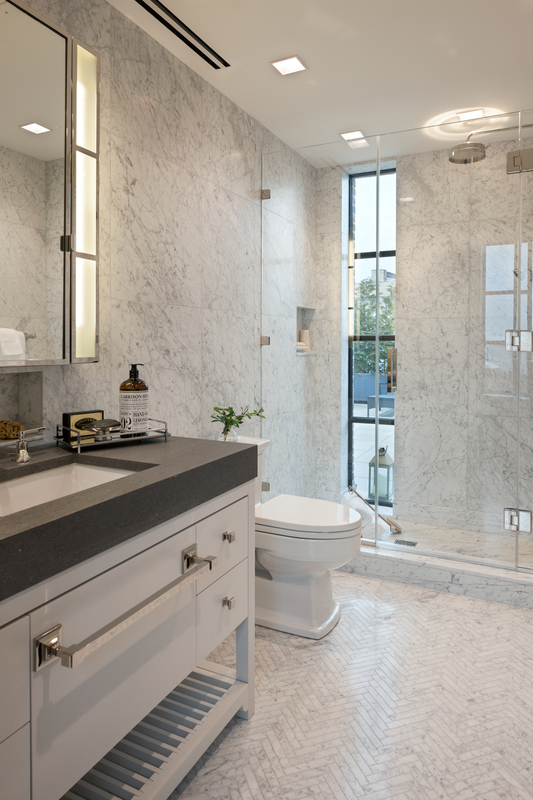 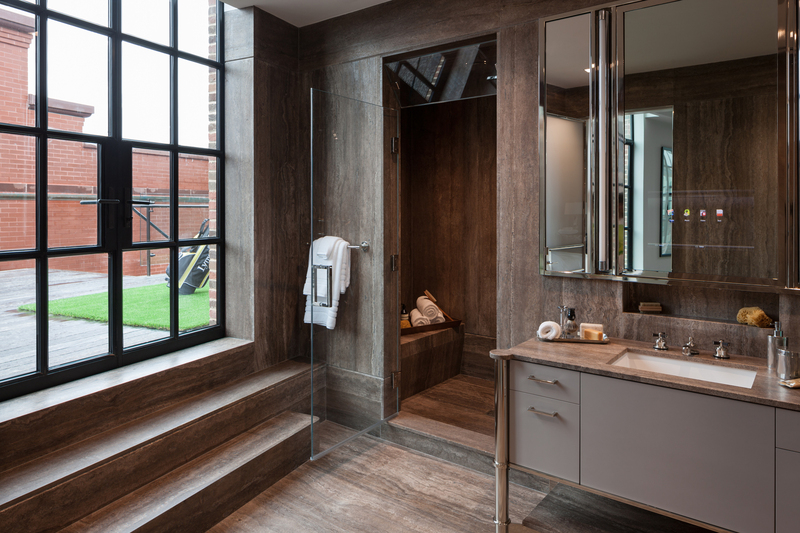 Scope : Furnish, fabricate, and install Calacatta Vagli Oro, White Carrara, Bardiglio Novulato and Stormy Grey travertine marble slabs for his/hers bathrooms, kitchens, and entry foyers for six high-end residences in landmarked building. 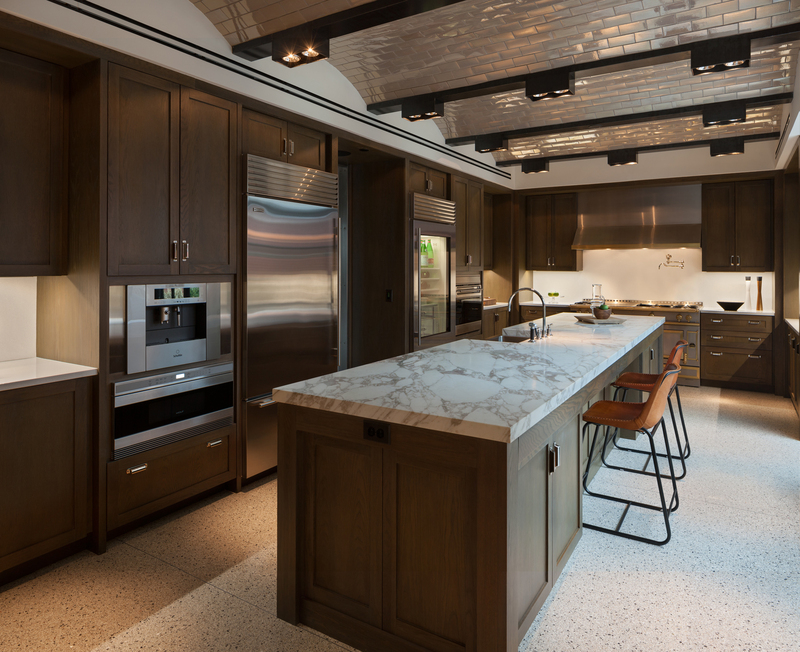 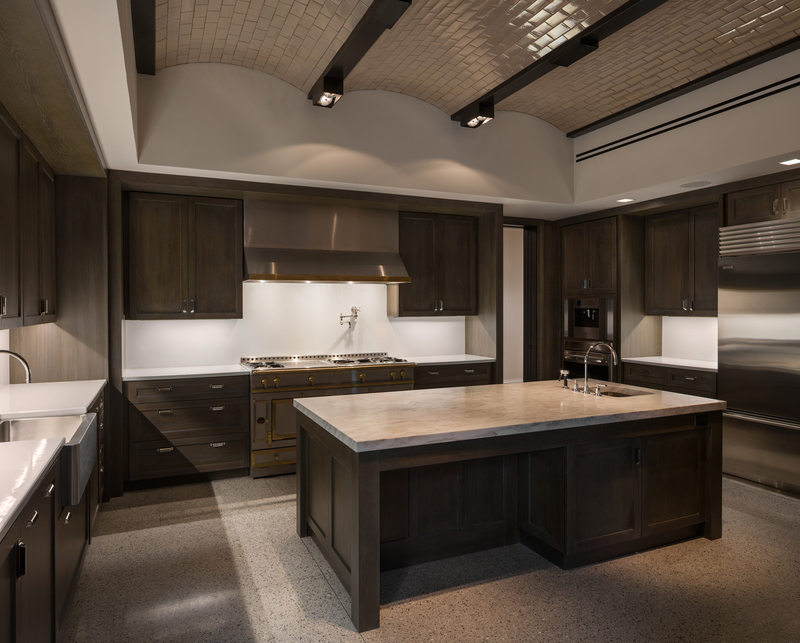 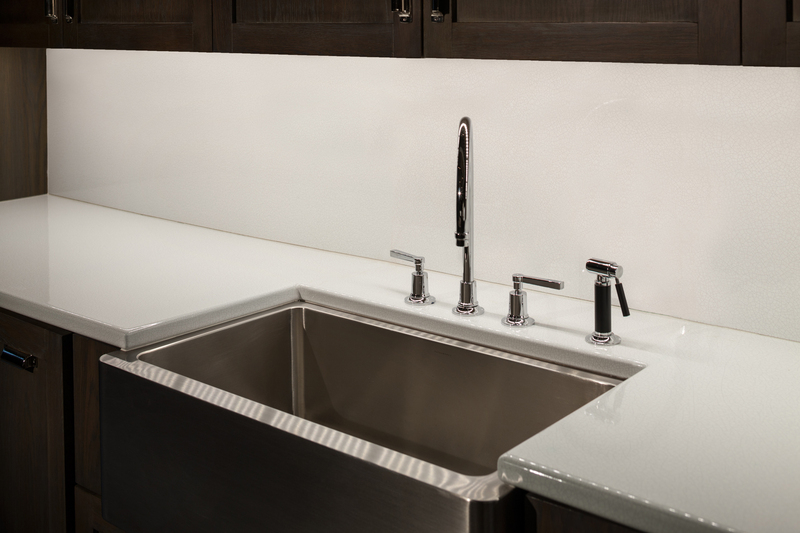 Furnished and install custom glazed lava rock countertops. 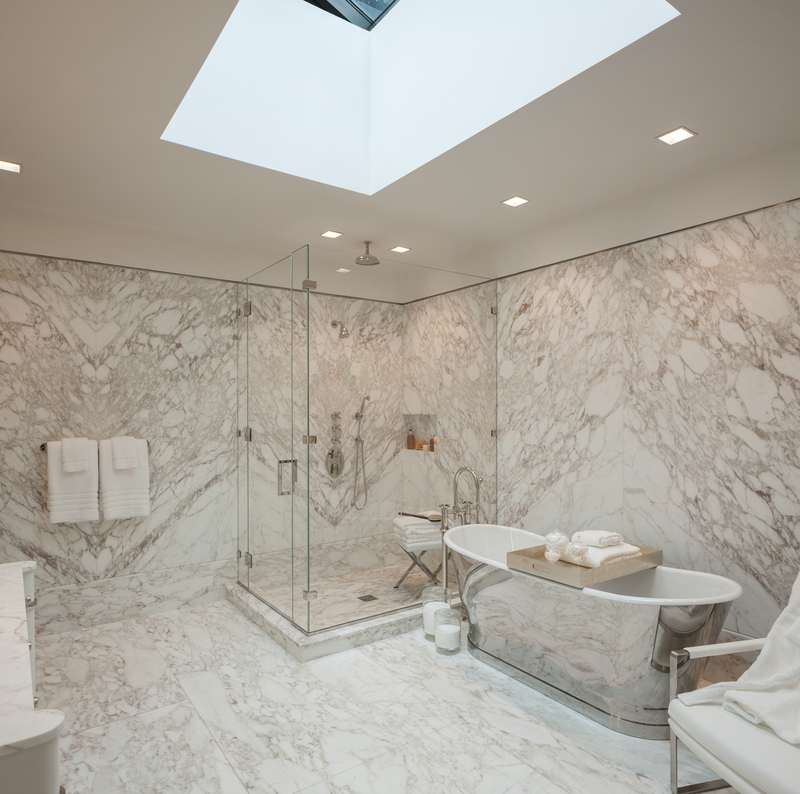 Furnish and install mother of pearl tile to existing scalloped ceilings.